HARRISONBURG — Two bills that would create a yearlong study identifying funding for Interstate 81 improvements passed with little opposition in the House of Delegates and state Senate on Tuesday. Del. Steve Landes, R- Weyers Cave, and Sen. Mark Obenshain, R- Rockingham, proposed almost identical substitutes to their original bills last week in an effort to identify a funding source for I- 81 improvements. 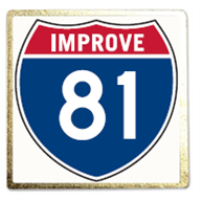 The bills create the Interstate 81 Corridor Improvement Fund to identify funding for capital, operations, and other improvement costs identified in the I-81 Corridor Improvement Plan done by the Commonwealth Transportation Board. Obenshain sponsored a bill last year to identify projects needed to be completed along the corridor. At the beginning of this year’s session, he and Landes introduced legislation in their respective chambers that recommended tolling to provide $2.2 billion in improvements. But the bills as passed deleted the language calling for tolls on I-81 and are instead proposing a yearlong study to look into different ways of finding the necessary funding. The two bills now cross over to other chamber now for consideration by the other body.